Blogging has become a buzzword in the online world of business and marketing. A blog or weblog has immense potential which you can use to build your brand, build a good audience base and many other benefits you can get from it. Blogging is one word which mostly people mix with content writing. They think that just writing and publishing article is called blogging. Let me tell you that writing and publishing are just a few parts of it. It is much more than these. There are many processes and strategies involved to do a successful blogging. It’s like a complete business model which needs a lot of time to get built up. You’ll meet new people online and offline. You’ll make some money online. If you’re a brand you will get heard by your customers. If you have a product you can get organic traffic for it through your blog. Is it enough to get motivated for starting your own blog? You can present yourself as an authority in a field you expertise. Today I am here to present you a guide which is much needed in order to start a blog from scratch. When you are all set to build your first blog, you always try searching on Google but the excess of information and the details make you worried. So read this guide that de-clutters the process of creating a blog. What is it that stops you from having your own online presence? You should fear no failures. You are not entitled to stay back due to fear of failing. Instead take your step forward and go get your voice heard. Start your own online journal or blog and let others hear you. Now is the time to start. Don’t look back or postpone it for later. This comprehensive guide will answer all of your queries so just stop searching and start reading this post to learn how to start a blog. There are many other things you should know before you start because blogging is something in which you can get success only if you’re pretty much passionate about it. Time is indeed the crucial part because if you don’t have time to blog then just starting it won’t give you any profit. Also, you need to find time to engage with your readers and fellow bloggers in order to build healthy relationships. Niche selection is the most important part because it depends on your mindset, knowledge and market. You need to find the profitable niche as well as the one in which you have some knowledge and also you have an interest in that. Writing is the most basic and the most important part as well because to blog you need to write well however at times you can hire writers to write for you but knowing to write well is beneficial. Patience and consistency are one of the traits every blogger must have because blogging is not something that can show the results of your effort instantly. It takes time so you need to be consistent in your work and should have great patience to wait for the right time. Many new bloggers when don’t get traffic or earning in the very first or second month, they lose patience and quit blogging. So blogging is not for those who are very apprehensive and inconsistent. You must be optimistic enough to wait for the results. You cannot practically sell something to people unless they trust you right? I started earning from my blog after 8-9 months of blogging. Had I quit it before that, I would have lost my earning source worth $400 (approx.) per month. I know it’s not huge, but I earn a happy living with these $400. So you know what you need for yourself in order to be a blogger. Now let’s discuss how you can create a blog? There are many more things which are needed but to create a blog these are some basic stuff. If I tell you to find my house then how will you react? You probably will ask me the address and then you will find it out, right? Similarly, every website or blog has its own unique address on the World Wide Web. The address of the blog is in a format that is called URL (Uniform Resource Locator) which contains http://(Hyper text Transfer Protocol) , www, domain name, TLD(Top Level Domain). In whole, it looks like http://www.example.com in which example is your domain name which is subject to availability that means you can register only for those domain names which are available and not regist,ered by anyone before. http://: http stands for Hyper Text Transfer Protocol and it is a protocol which we follow to send a request to Server and then the server reads the request and display the information accordingly. Suppose I write http://www.digitalgyd.com and hit enter in the browser then what browser will do is to send a request to the server which is hosting this website and then the server will show the web page associated with this address. www: It stands for World Wide Web and most of the web URLs have this but in many cases you can see URLs without www such as http://example.com. Both works fine either with www or without www. TLD: It stands for Top Level Domain. It is basically the ending part such as .com, .org, .in , .edu, .gov etc. You can have TLD as per your choice while domain registration, but mind one thing that if example.in is available to register, it doesn’t mean example.com will be available too. They both are different. Okay, now you know what a domain name is and about other constituents of URL structure. Now it’s time to learn about how to choose the best domain name for your blog? Choosing domain name is one time work and probably one of the most important parts because it displays your brand. 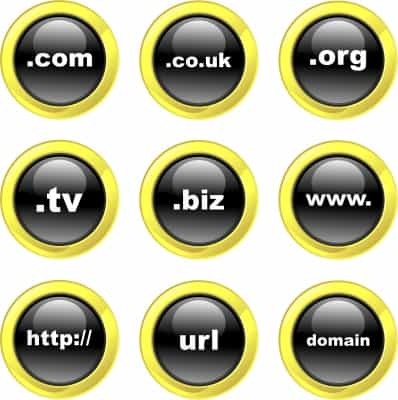 1) Keep it short & Simple: Domain names should be short and simple because these are easy to remember. Suppose you find a website with good information which URL is Catherine123laptop-info.com then would you be able to remember this name for the future so that when you need it you can go to this site and get info? Because the domain name looks to be complex and it might be hard to remember. On the contrary, if the domain name would be laptopinfomartion.com or laptopinfo.com then it might be easier for you to remember because these domain names are simple. 2) You should keep at least one keyword in your domain to get found easily. Suppose you would like to sell laptops then you can have domains like buylaptopsonline.com, buylaptops.com, laptopsmania.com etc. These are few good names you can have which are not so short but still simple and targeted. 3) Don’t select misspelled domains: Many people select domain name which are actually the misspelled domains of big brands. Like if there is a big brand Google.com then probably getting googls.com or googles.com won’t be a good idea. Try to get something unique because domain name reflects the brand thus it should be great and different. It should not look like duplicate of some other brand. 4) Don’t get hyphenated domains: There is nothing bad if you put hyphens in your domain name but the thing is that when you have hyphens, people might not remember it easily. For example, you can easily remember buylaptoponline.com but buy-laptop-online.com can be difficult to remember at times. And how do you say it to a friend at the other end of the bus? 5) Avoid Numbers: I would suggest you to avoid numbers in your domain name because it again will not be easy to remember. I am suggesting you everywhere to keep the domain name which is easy to remember, Right? Do you know why I am suggesting so? Because when you choose a domain which is easy to remember then you can get a lot of direct traffic to your blog because when people remember your website’s name, they directly type and open rather than going to find in Google. 6) Last thing to consider before buying a domain: Don’t go for domain names that could land you in a legal controversy. You know Starbucks is a brand you wouldn’t want to mess with it buying starcucks.com. You would not want to infringe a anyone’s copyright or trademarks. If you want to brand yourself get a domain name that is your own personal name. The best domain registrars are Godaddy and Bigrock. If you have already bought your domain its fine. If you have not yet bought it don’t buy. We are going to get a free domain with the hosting plans I mentioned below. You got a domain name which works like an address of your website but where all the stuff will be stored? I mean the database, files, folders, media and other things which need to run a website, will be stored where? There comes Web Hosting into the picture. You need to buy hosting space from any of the good web host like Bluehost, one.com and Wpengine. You can select as per your budget and requirements. 1) Server UpTime: Many web hosts offer very lucrative deals to attract customers but mind it when you get something for extremely cheap, there you will have to compromise with the services and support. Therefore, don’t just go for cheaper ones rather do research to find which ones are good. Up time is essential thing as if you are not getting more than 95% uptime means your website remains offline at times even you are paying full amount thus be sure that the web host you are choosing, offers great uptime. 2) Server Response Time: Many times when you open a website, you notice it loads slowly even if you have fast internet. That can be because the server on which that particular website is hosted, is responding slow. Slow responding servers are not good for any kind of website thus choose only the server which response time is good enough. Google also gives preference to the websites which response time is faster. 3) Support: Customer support is a crucial thing to be considered while choosing the webhost. Cheaper hosting providers don’t offer you good customer support. Thus always choose one which offers good support. To name a few, Bluehost’s chat support is more than better. They are amazing and so techie that they solved all of my queries instantly whenever I asked. Hardware, settings, control panel they are offering should be enough and well working. Always find affordable yet good web hosting provider. P.S. I have used Bluehost for my personal blog, and am currently hosting this blog on one.com. I saw one.com was fine but they show memory full for just 40 articles I have on this blog. So, I am switching to an even better and cost effective hosting service i.e. WpEngine. You can choose Bluehost for beginner level. It’s perfectly okay. Blog CMS or blog content management system. Now you are done with buying Domain and Hosting which means you have your own space on the internet where you can keep your stuff and you also have an address to them so that people can find you with that. Now it’s time to build a blog over there. It’s the age of CMS short for Content Management System which helps you to set up a website quickly without any coding skills. The CMS we will choose is WordPress, which is specifically designed for blog sites and it can be used to build business websites as well. Most of the linux hosting providers offer WordPress installation app as an option in their Cpanel with which you can set up your blog within 60-180 seconds based on your typing speed (you need to enter your credentials). It’s as easy as creating an email account. Thus I would recommend you to choose WordPress as your blogging CMS as it is easy to set up, feature rich, Flexible and robust as well. Even there are support forums where you can get your queries solved. Professional Looking Theme for your blog. Now the next work of yours is to select a nice and professional looking WordPress theme. 1) Fast Loading: Many themes you would find are extremely slow because they are not coded well or excess use of images. It’s important to choose the theme which is less bulky and loads fast. I recommend you to choose only premium themes as they are well coded and almost bug free. 2) Responsiveness: As Google gives preference to those websites which are compatible with all devices and browsers, you should choose a responsive WordPress theme for your blog. 3) Easy To Customize: Many themes out there are difficult to customize and that’s the reason many bloggers don’t even bother to customize their blog’s look after selecting a complex theme. Thus, choose the theme which you can customize easily as per your requirements. 4) SEO Friendliness: Choose themes which are optimized for SEO because it can add SEO value to your blog without much effort. It’s an important factor to be checked. Genesis is the most popular and is by the top theme provider (Studiopress.com) in the world (source). Almost all the top sites in the world are using genesis. The SEO optimization is done to a level that it helps in ranking your content in the SERPs. I use magazine pro (which is a very popular AdSense ready theme from genesis) on my freelance writer blog. That’s enough for selecting a theme for your new blog! Theme Installation: This is already discussed above. These are the most important pages of your blog as about page tells readers about the blog, founder and other details whereas contact page makes a bridge between the readers and the blog owner. Readers or advertisers can fill up the form and contact you for any queries or offers. These pages are important to be transparent with your blog readers as they say all about the privacy policies of the blog and disclaimers as well. Moreover, if you want your blog to get ready for Google Adsense, these are very important and should be added. Plugins are the backbone of WordPress website. They help you add more functionality to it so install the plugins that are very much required. Check here to see what essential plugins you should use. Social sharing buttons help readers to share your blog posts easily. If you don’t add these buttons, there are very less chances that someone would share your blog posts because he/she will have to do much stuff to share but when you offer social sharing buttons then it becomes easier for them to share your post on their social profiles. Recommended social sharing plugin: Easy social share buttons. Technicalities can happen anytime and you might lose your data thus it’s important to take back up of your blog regularly. To automate the process you should install backup plugins to take regular back up. To name a few, backwpup, backupbuddy etc. are good plugins. You can take back up manually as well. Akismet is an awesome spam fighter plugin which comes with WordPress installation; you just need to get your API and activate it. After activation it will be putting all the spam comments into the spam folder and keep your main comment folder clean. Permalink setting is important because it defines the URL structure after “/” and it heavily helpful in SEO if it is optimized well. You will see these kind of structure when you go to your blog’s dashboard >> Settings >> permalink settings. I recommend setting example.com/sample-post/ as your blog’s permalink structure. This is the simple, neat and the best permalink structure to have. When you start your blog, you would want to track the traffic stats as well as any errors on your site, right? Then Google analytics and webmaster tools can do these tasks. Analytics helps you to track the traffic and all whereas webmaster keeps you updated about crawl errors, sitemaps, links and few other things. You can set them up easily as there is no technical skill needed to this. We are almost discussed every basic technical aspects of blog set up. Now we will move on to discuss how to start blogging on the blog we just have set up and make it profitable? Now you have well set up full-fledged blog and now you have to start blogging in a way that you can make it profitable. Let me tell you that stop thinking about profit from the day you start working over it. Work only to make the blog a great place where people can find relevant information because it’s the only way you can build a good audience base. When you have audience then you can monetize the blog in many ways which we will discuss later in this post. Before you plan to write some posts according to your assumptions, do some research within your niche to find out what other bloggers are writing and what people are actually reading. It will give you some fair ideas as to what kind of content you should write which will be read by a good number of people. Once you are done with researching what other bloggers in your niche, are writing then start researching for good keywords for those topics. Collect few good keywords as per the monthly search volume and their competitiveness. We will talk more about keyword research in a separate post. Now you have well researched topic ideas and good number of keywords, so the next task is to create killer content for your blog. Every blog post you write should be a masterpiece which includes well researched facts, information and relevant resource links. Never write plain essay kind of content because it looks dull and people don’t like to read. In fact, people don’t read but they scan the post so if there are headings, subheadings, points, they can easily get the full idea of what the content is all about. Make use of <H1> <h2> and <H3> tags to structure your content. Make the main words bold, underlined or italic so that it will be interesting to read. Never miss to interlink your other articles wherever needed because it helps you lower the bounce rate of your blog. Now as you have written the content and published it on your blog, you need to learn to promote it heavily on social media to reach out to maximum people. Set up Social media pages for your blog: It is much needed to have social media pages of your blog. On twitter you can create twitter handle like mine. On Facebook you can create fan page and on Google+ you can create brand page. You can use these social assets to engage with your blog’s audience but at first you should build audience on these profiles which you can build gradually by following and liking other’s pages, ask your readers to join them on those profiles. Whenever, you post any article on your blog, make sure you publish the link of the post on these of your social pages so that the audience will get notified. Let me tell you separately how to Market well on Twitter and Facebook in order to get your posts shared by other bloggers. There is no rocket science when I say Twitter Marketing. The success heavily depends on the number and quality of your followers on it. Just having untargeted 10000 followers are no of use but having only 5000 followers which are active and interested in the subject you are writing, is much better. You can increase your twitter followers and Retweets on your tweets by using Justretweet. This is simply an awesome tool I would like to recommend to everyone because you not only get to know like-minded people over there but a good number of targeted retweets as well. Success on Facebook depends on which kind of followers and friends you have in your friend list and on fan page. If they are targeted ones, you can get good benefit from them. Being active in certain FB groups can give your posts a good boost in terms of number of likes, shares and traffic. MUST READ: 39 PRO Facebook Marketing tips for the small businesses. Never miss these 2 giants when it comes to drag traffic and build audience base because a huge number of user base resides on these. Apart from these, Google+, Pinterest, Stumbleupon and LinkedIn can be great to use. Organic traffic is the most valued traffic among all the traffic sources that is why it’s indeed required to build enough number of organic traffic for your blog in order to make it a hit. Even when an advertiser approaches you for banner ads then he first asks about how many organic traffic your blog is getting daily? So, you cannot simply ignore this traffic source. 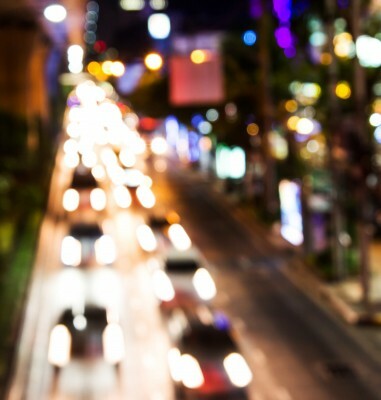 How to build organic traffic for your new blog? Earlier in this article I have mentioned to do keyword research which helps you find profitable keywords to target so that if you are able to rank on the first page with them, you can have good amount of targeted traffic. Introductory SEO Lessons for organic traffic & to rank your new blog. Research good keywords and finalize any 2 best ones. 1) Include the main keyword in the post title. Include the main and secondary keywords within the content in natural manner. Specially use them in headings and subheadings. Make sure the keyword density must not go above 1.5%. 2) Include both keywords in the Meta description. 4) Do better internal linking. 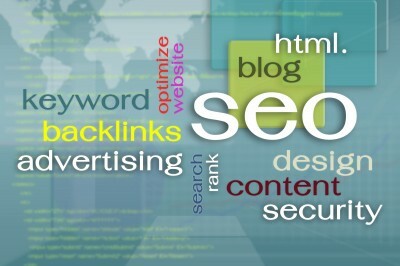 After doing these try to earn or build few good backlinks to your posts because backlinks means trust and as much trust you build, your search ranking will go higher thus increase in organic traffic. Backlink building is a tough and risky task in the age Google’s Animals (aka the algorithms) so you need to be alert and build backlinks in a SEO friendly way. Aha!NOW blogging community, Klinkk, Dosplash, inbound.org, viralcontentbuzz, bizsugar, blogengage etc. Register on these and start using and notice the difference. Aha!NOW is a place that will nurture the social skills within you and hel your blog grow by giving you more traffic and influencer notice. Others work on a share through earning points basis. So these are the few things you can do to optimize and promote your blog posts. As of now we have discussed how to create up a blog, how to create content and how to promote them. Now it’s time to discuss how to monetize your blog to earn money? There are many ways to monetize your blog but right kind of monetization works well and yield maximum profit. If your blog is getting more referral and social media traffic then monetizing with Google AdSense won’t be a great choice rather monetizing it with Affiliate will be a better idea because the referral people might have good trust in you and that makes them buy from your link. If your blog is getting thousands of organic traffic then monetizing it with Adsense, CPM banner ads, selling ad spaces can be great choice and outcome must be great. You can even accept sponsored reviews and paid posts to earn huge income. I will discuss more about Google Adsense monetization, Affiliate marketing and other monetization ways in my other posts very soon. This post is a detailed guide in which you have learnt how to set up a blog + how to do blogging on that blog + how to promote blog posts + how to monetize your blog. I am sure for now this is well enough for you to read and learn all the technical as well as profitable stuff for building a blog that earns. Thus this is my how to guide for setting up and building a good blog. Now it’s your turn to implement the ideas which you have read in this article. I would like to hear your views and suggestions if you have any for this how to guide. I am pretty much sure that you have enjoyed reading this guide on creating a new blog.